[quote=sarahsweets;2010220]Ok Psycho.. here is what I have got so far. Looky what I found psycho! I think I have a dependence on caffeine or coffee but not an addiction to it. I look at addiction very seriously and its nothing like my alcoholism. Yeah. Caffeine causes a certain level of dependence pretty readily, but it usually doesn't have enough of a negative life impact to really qualify as an addiction. I'm looking forward to seeing my grandchildren after Thanksgiving! They live in California and on occasion, my DD pays their way to come to Texas and visit. Well...knowing my grandson, he may or may not come. He gets into a depressed state sometimes and avoids people. But I know my granddaughter will come! And my DD and SIL who live in Houston, of course. As long as any talk of religion or politics is avoided, everyone can get along fine! I want a light saber. 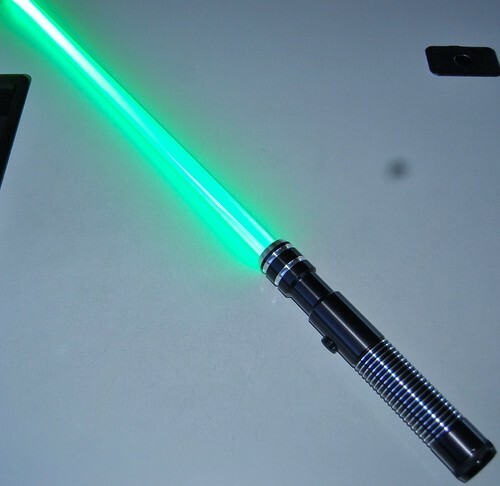 I have one It's from a company here in the states called Ultrasabers. It's my favorite thing in my star wars collection. Unfortanently it doesn't make sounds...they're like $300+ if you want to add sound with them (I only paid about $100 shipped for mine). This isn't my picture (it's from google lol)...but this is pretty much the model I own...same laser color and everything. Home again, home again, whoopity-whoo! It was so good to see our dear friends (family to us), but none of us slept well. Both my daughter and I had achey backs and a 3-hour drive each way was tough. focused on my breathing and it was bearable by the time we got there. her son getting drunk last year and needing an ambulance. Hope ya'll had an excellent Thanksgiving. Robert! WooHoo! I'm thankful you popped in! I know I'm seriously addicted to coffee n sugar but the way Sarah puts it I guess it's nowhere near the terms of alcohol or drugs addiction per say.co worker said I'm glad you don't drink like that and I just laughed cause if I'm at a party I usually do an I end up somehow overdoing it and now that I'm older the hang overs are just decimating n brutal anymore.its weird I seem like I drink.less then I use to and I still get wowie kazowied. Guys...I don't know what happened. I mean. Surely! It can't possibly be where I live! There's just no way!! It's waaaaay too cute and awesome looking to be mine! It is so cool! lol I want everyone to come see it! My walls have lots of Christmas decals going on...my coffee table has a mini white tree decked out with green and red mini ornaments on it, some really cute metallic red and green dishes (one in the shape of a tree, the other in the shape of a candy), and some other Christmas decorations...I have a big desk under my windows and I covered it with a white bed sheet, and then on top I have a porcelain Christmas village set up...I wrapped some multi-colored Christmas lights around some green garland, then wrapped that around my tv stand...I have a bookshelf that was an eyesore compared to everything else...so I decided to wrap it in some cute wrapping paper haha, it's red foil paper so it's shinny and metallic and it's got a bunch of white snowmen on it...really looks a whole heck of a lot better now!! ...And then there's my tree, and omg...It's beyond amazing! It's a cute 6 foot artificial white tree and it's covered with lots and lots of pretty green and red ornaments...but the neat thing is the lights! They're rather big, in the shape of snowflakes and are l.e.d. lights. There's 96 of them in total and they can each change to many different colors. They are SO cool! 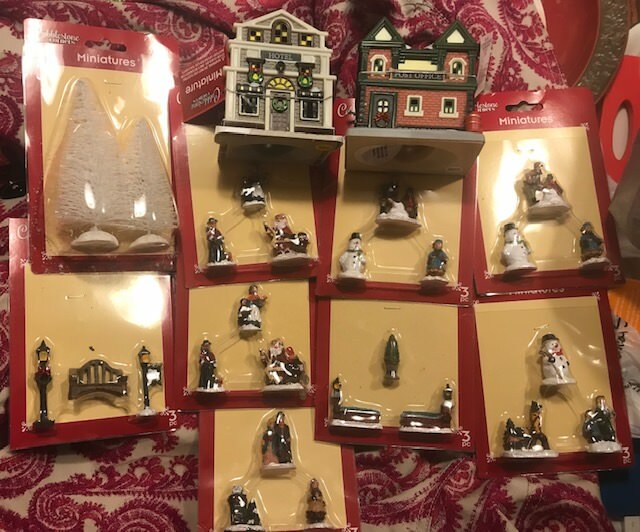 I just got them this year, and they keep on blowing my mind!! They do all sorts of amazing things...things I wont be able to find words for...but they change colors in such ways that it might look like my tree is a red and white candy cane swirling up, or all the lights will turn a deep green except for a few which will flicker randomly between a warm yellow, red and orange...it makes it look like they're candles just like people use to use way back in the olden days...or the lights will all turn a beautiful blue, and then starting at the lights at the very top of the tree there'll be random lights that will turn a bright white, and then travel downwards to the next light quickly, then to the next below it...it makes it look like it's snowing! And there's dozens of different patterns to choose from! You can choose the pattern you want, or you can set a timer for between 1 and 5 minutes so that the pattern changes to a different one randomly...I like to set the timer to 1 minute! And it's got a wireless remote...I don't even have to get up to go through all the patterns! But all this isn't even the best part about the lights! And omg...the lights flicker and dance and change colors and patterns...in sync with the songs! I can't even begin to tell you the magic I sometimes feel watching it! Especially in the middle of the night when all my lights are off in my apartment! The lights are so bright that they fill my entire living room and kitchen with their cheerful glow!! (you can adjust the brightness...I keep them at max! )...and it is SO cool! As the lights flicker and dance around they reflect off my walls, the ornaments on the tree and all my decorations and it's all just a major treat for my eyes and my ears! Just and absolutely beautiful!! It's magical! I can't believe it! It's like I want someone to pinch me because I know for sure this all must just be a dream! ...And yet...I don't want anyone to pinch me cause I want this dream to last forever! My living room is amazing guys!! I'm thinking of recording a video of it and sharing it here...though stuff like that makes me anxious as all heck haha...especially if I try to talk...which I'd want to do in the video. But dang...I am SO proud of how it's all turning out! This simply can NOT be my apartment guys! I don't know what happened, but something got all mixed up! last year, after I had bought some very cool lights to put on it the year before. goes on the bookcase in my room, but that may be all I do this year. HoHoHO.